Do you want to hear HOURS of blather about Blade Runner 2049? Me too… and I was THERE. Do you enjoy the in’s and outs of Peter Parker’s ways and means? Right there with you! 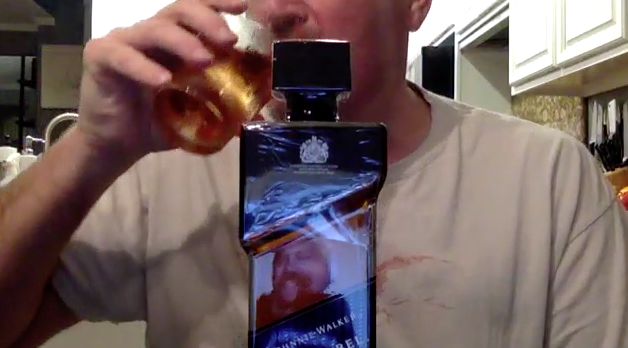 And perhaps most importantly, do you thrill at seeing my reflection in Blake’s bottle of Blade Runner Special Edition Johnnie Walker Black, via videoconference? Well… you should. Please note: click those links, buy or rent from Amazon, and we get pennies. I think! 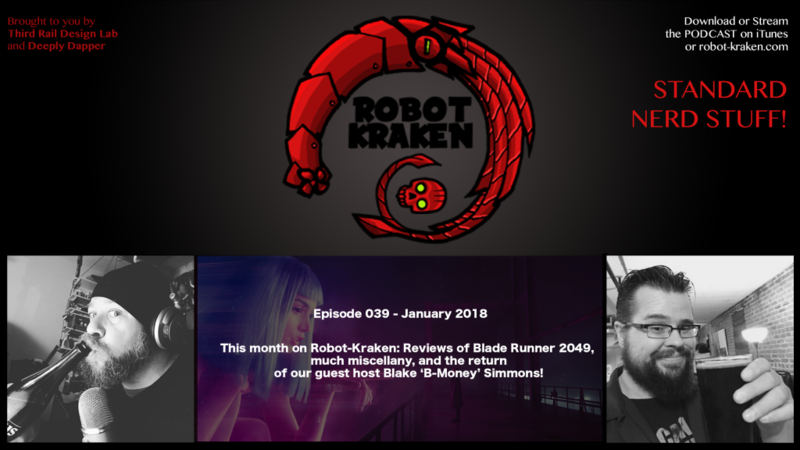 Robot-Kraken: Ep 38: Not Dead Yet! It’s been a few months, but we’re back with this episode from the depths of our underwater vault in the black seas of geekdom! Kris and Thom give their review and thoughts on San Francisco Comic Con, Rose City Comic Con, Logan Lucky, IT, Inktober and a whole pile of other geeky goodness! This episode comprises a few recordings made between September (live recordings each night of Rose City Comic Con from Portland, OR) through November. 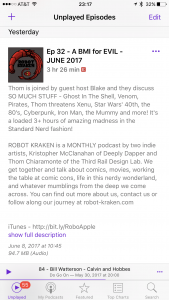 ROBOT KRAKEN is a MONTHLY podcast by two indie artists, Kristopher McClanahan of Deeply Dapper and Thom Chiaramonte of the Third Rail Design Lab. We get together and talk about comics, movies, working the table at comic cons, life in this nerdy wonderland, and whatever mumblings from the deep we come across. Episode 36 – The three-headed dragon of Thom, Kris & Blake dive deep into the icy waters of episodes 5&6! READY FOR SOME FIRE? I was not. 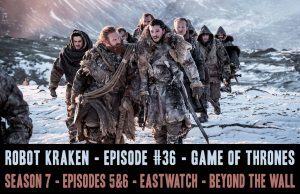 Idaho is burning, with a large wildfire approaching the house, so Thom got together with our guest host Blake to pick up the pieces and assemble a wagon train full of gold, food and talk about the two newest episodes of Game Of Thrones! 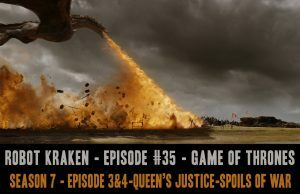 So sit back, or stand on a horse and listen to their take on episodes 3 and 4 – THE QUEEN’S JUSTICE and THE SPOILS OF WAR! For those of our listeners that are NOT Game of Thrones fans, fear not – our regular massive episodes will still be coming, so you’ll still get your usual installments of geek news, reviews and art talk along with a few con reports and guests stars. Apologies for the cheap screenshot of the episode notes. We’re on the road! No fancy Photoshop this time! 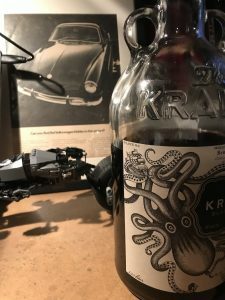 Last night we completed another session of the Robot-Kraken Podcast recordings for inclusion in the June episode. Special guests! Special liquors! Hot messes! BONUS: Shimmer Lake on Netflix. IN! This supposed brief on the new Silver and Black disaster-in-waiting Sony is cooking up for their Spider-Man Universe Without Marvel or Spider-Man or Something sounds sketchy. Like fanfic stuff. Surprising precisely no one, SW VIII has been postponed while they violently rewrite the entire thing. First look at Lockjaw from Inhumans: yep, giant bulldog. Missing the signature tuning fork and collar though, which is weird. So many weird choices on this project. I still haven’t recovered from the wig. A little less than a month to go and we’ll have new Preacher. YASS. In another (rather odd) example of studios remaking instead of building anew, Amazon just bought a series based on the film Hannah which (I haven’t seen, actually) I hear is based on every other young teen orphan assassin trope. Not that I don’t want to see the film. But I’d rather see original content greenlit. I’m half-way through the current glorious season of Silicon Valley, and I can’t conceive of the next season moving forward without TJ Miller. Dammit. Really odd one here: Rosario Dawson is supposedly being courted for the role of Dr. Ceclia Reyes in the New Mutants film. It feels… fan speculationish… given that she’s already in the Marvel Universe (one of them) as a nurse… but hey, +1 always works for me. 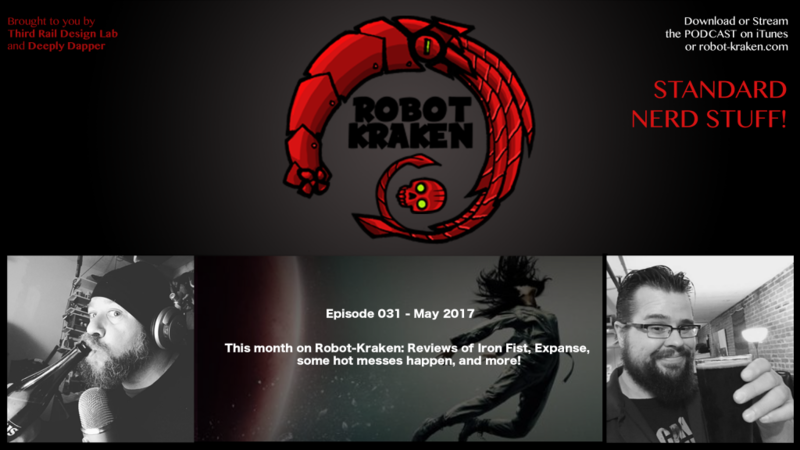 Our may episode of Robot Kraken features a guest host as we discuss Sci-Fi novels and TV adaptations, SYFY’s THE EXPANSE, Marvel TV and more! 0:05 – Sucking The Monkey! 01:38 – SUCKING THE MONKEY! There is an excised segment here, featuring both of us getting a bit silly while discussing John Wick – you can find it on our PATREON PAGE! 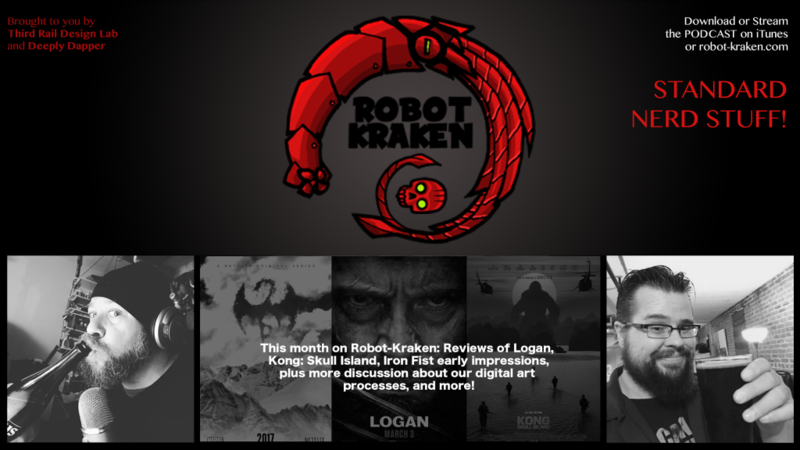 It’s March… or has been for two weeks now… In this episode of Robot-Kraken, Kris and Thom review Powerless on NBC, Legion on FX, and wax nostalgic, during our Shipyard segment, about how digital technology changed how we produce our art. 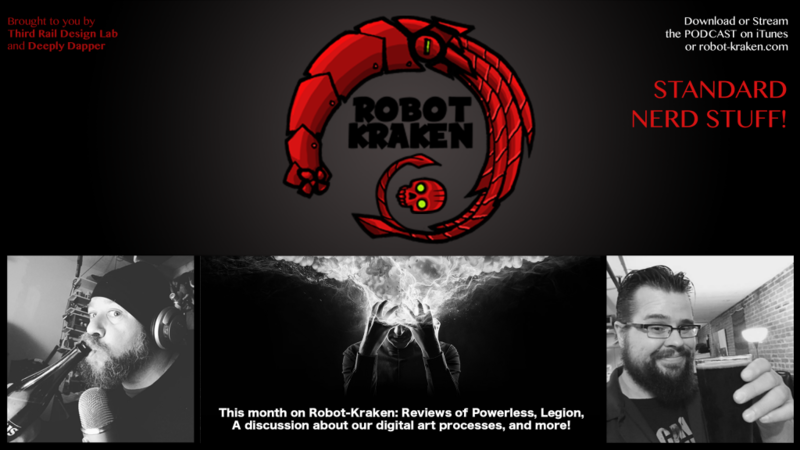 Robot-Kraken Podcast Ep. 28 (February 2017) Available Now! February is here and Kris and Thom sit down to chat about the ten projects coming up in 2017 that we are most excited about! (Or 2017-ish, since George RR Martin is on the list….) We talk about the EXPANSE, reveal our dream casting for a MOON KNIGHT movie and in the Shipyard talk about kickstarter, brush pens and upcoming art jams! We talk about brush pen inking, Kris’ current projects for the official THE THING art book and kickstarter and Thom reveals his works in progress and the Weekly Jam Subjects for the month! 0:24 – A Tim Miller/James Cameron reboot of the Terminator? 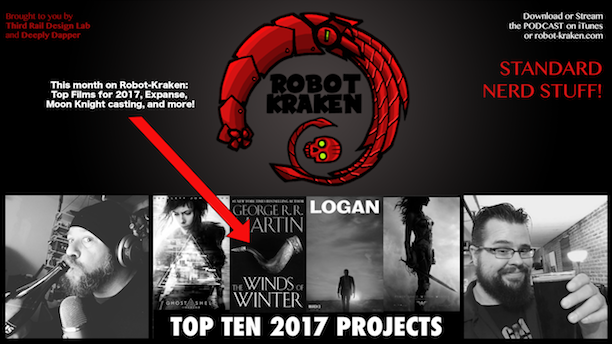 0:31 – Top Ten 2017 Projects! 1:55 – We both cast a MOON KNIGHT television series or movie – our choices might surprise you! 2:51 – Baywatch and Contact Info – That’s right – Baywatch! That was our show! And now – videos and trailers. for science!